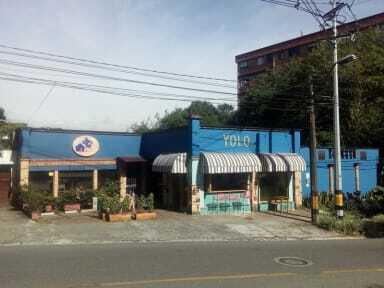 Yolo Hostel Medellin i Medellin, Colombia : Boka nu! Situated in the El Poblado district of Medellín, Yolo Hostel Medellin offers free bikes and barbecue facilities. The property features a garden, as well as a shared lounge. Lleras Park is 400 metres away. A à la carte or vegetarian breakfast can be enjoyed at the property. Cycling is among the activities that guests can enjoy near the hostel. Speaking English and Spanish, staff will be happy to provide guests with practical guidance on the area at the reception. 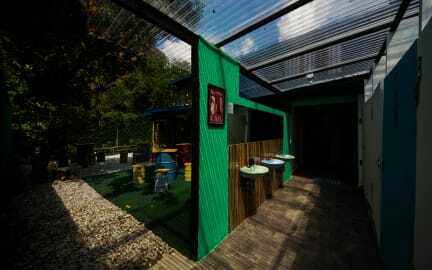 El Poblado Park is 900 metres from Yolo Hostel Medellin, while Pueblito Paisa is 3.7 km away. The nearest airport is Olaya Herrera Airport, 3 km from the accommodation. Any help you may require let us know please. our special coffee is from our coffee farm, so we have differents varieties of coffees for you to taste a real Colombian Coffe. In our hostel you can find more info about more tours in Medellin and info around Colombia. We have a laundry services from $15.000. a)Arvi Park, you should go by metro and metro cable, from the hostel is around 40 minutes ride until the top. b)Botanical Garden, by metro is only 20 minutes. c)Pueblito Paisa, go by metro and then 15 min walk. d)Down town it is only 10 minutes away by metro. e)The station from Yolo is about 20 minutes walking distance. Talk to us and let us know what would you like to do in this city adn Colombia, and we are very pleased to help you. Any more information we are more than happy to help you, our YOLO team is always here for you.